These Totems are an Absolute Catch to get a Nice and Cute Good Luck Charm to be around with you at all times. 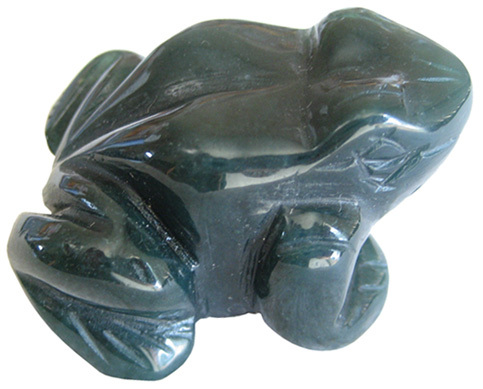 This FROG TOTEM comes in Genuine and Natural Green MOSS AGATE Stone and carved from all sides ? see picture below for more detail. This TOTEM also comes in Nice Velet Pouch, so you may take it with anywhere.